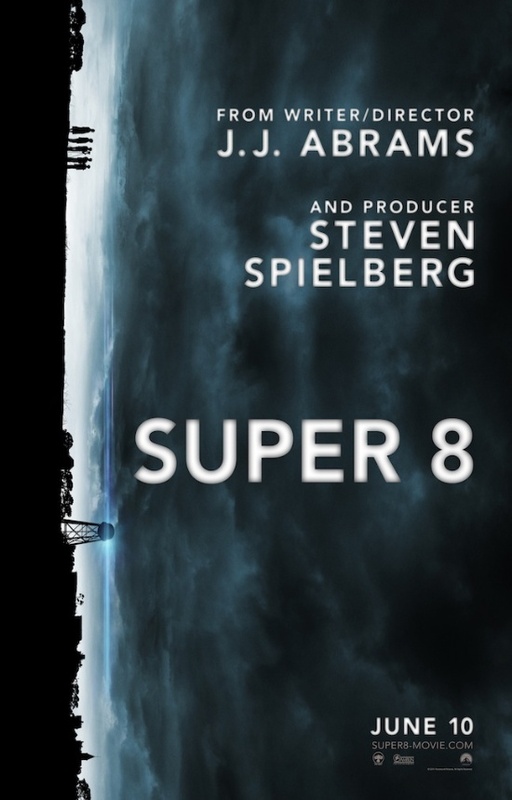 Super 8, J.J. Abrams' latest project about a group of ordinary folks terrorized by a largely unseen menace, feels like it was constructed from a blueprint for building the ideal popcorn movie. It's smoother and more assured than the Abrams-produced Cloverfield, which was often entertaining but gimmicky to a fault. It's also a deliberate homage to the summertime entertainments of Abrams' fancied predecessor, Steven Spielberg, right down to the absent parent (here, the main character's mother dies in an offscreen factory accident) and the bike-friendly neighborhoods. But there's a fine line between homage and fetishization. Abrams treads this line and, when modern audience expectations demand it, transgresses it - for better and for worse. The better: genuine first-act drama that focuses on a group of junior high friends making a zombie movie under the thumb of their imperious leader/director Charlie (Riley Griffiths). Our focus is on the quiet, timid Joe (Joel Courtney), who spends his spare time building models and experimenting with monster makeup kits. He could have a bright future in the film industry, at least until he has to learn how to do it all with a computer. Courtney has a lot on his plate for a kid who just lost his mom, including tiptoeing around the fact that Griffiths has cast his crush, the older Alice (Elle Fanning), to play the female lead in their film. The look and feel are so perfect in these early scenes that it's almost another movie entirely. The monster plot quickly intrudes - on location at a rail depot, the kids witness the spectacular derailing of an Air Force cargo train carrying something big and nasty. G-men swarm their town, evading questions about disappearing animals and people. That leaves Joe's father (Kyle Chandler), a sheriff's deputy, as the sole trusted voice of authority. The worse: the reveal of the mystery fails to match the promise of the film's first half. The characters become less compelling as Abrams turns his focus to unraveling the origins of the creature on the train. He ditches the idea of home movies as a nifty metaphor for the tricky childhood transition from innocent play to gradually-refined skill, and replaces it with a rite of passage only seen in the movies, where bravery grows in proportion to the number of special effects shots. This is not surprising - the combination of the coming-of-age drama with a sci-fi/horror story is part and parcel of the Spielbergian tribute - but it underwhelms just enough to make the peril appear absurd, especially as it ends abruptly before the movie's emotional coda. There's no coyness in Abrams approach, no curious beams of light or garbled signals from space. Super 8 is purely results-driven nostalgia. 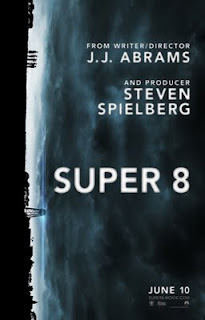 Even though it tries its hardest to walk and talk like a Spielberg classic, Super 8 ultimately fails to pass the duck test. It's often impressive in its own right, particularly the performances of the young actors and the skillful blend of humor and danger. But it's inevitably hamstrung by its similarities to other modern CGI-heavy creature features, and Abrams places a jack-in-the-box where the film's heart should be. And that's just to be expected from the ideal popcorn movie - satisfying enough to leave a general impression, the details slowly fading from memory.